As part of the School curriculum the children have weekly lessons from Kindergarten upwards. The School competes in numerous events including the district swimming gala and the ISA Competition, both regionally and nationally. 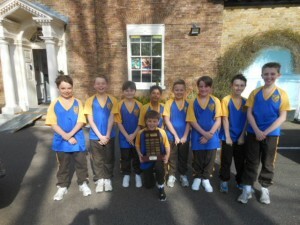 We have had several children who have competed for our region (East Anglia) in the ISA National Competition in London. The Ursuline Prep School was the host for this event and Brentwood School kindly allowed the use of their fantastic facility. 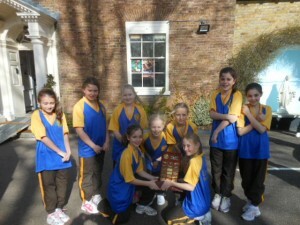 The event took place on Wednseday 13th March, with both a girls' team and a boys' team. The Children had a wonderful time and swam exceptionally well. 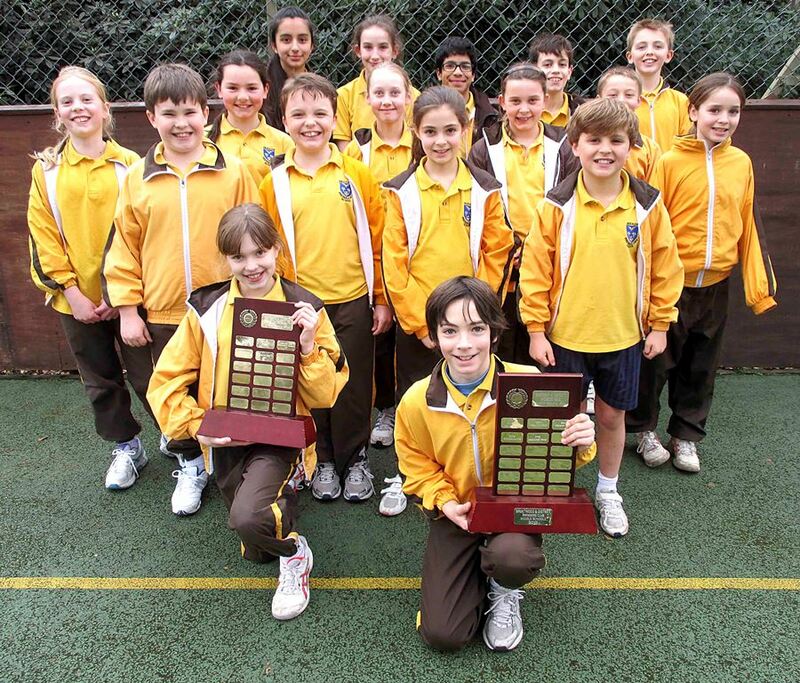 The boys' team won the competition and the girl’s team came narrowly in second place, having been beaten by 1 point! Congratulations to all the swimmers who took part. 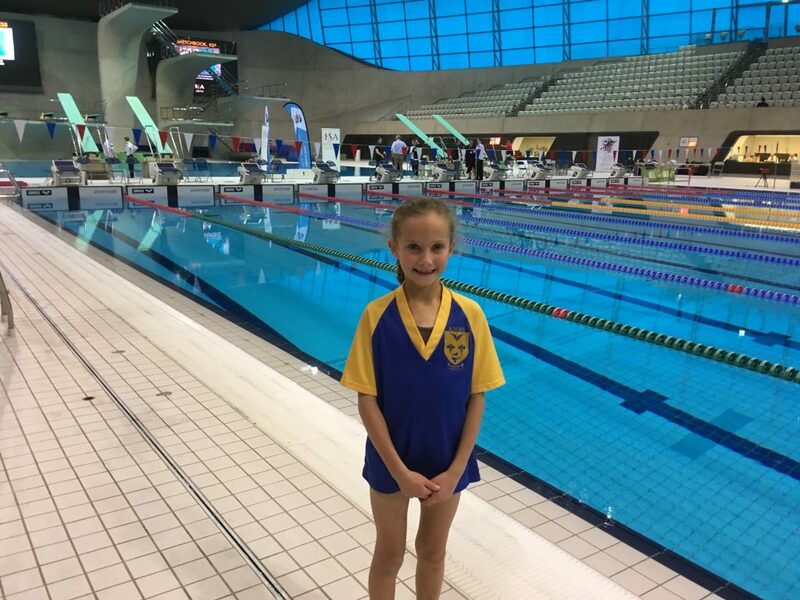 On Saturday 1st December 3 Ursuline Prep pupils were invited to participate in the National ISA Swimming Gala, which was held at the London Aquatic Centre. All the children were extremely excited about competing in an Olympic pool! Two pupils were part of the the relay teams that competed in the medley and freestyle events. They swam well with the teams, both finishing in 6th place. A year 4 pupil swam in the individual 50m breaststroke and backstroke races. She performed exceptionally well winning bronze in the breaststroke race and gold in the backstroke. The gold medal event was exceptionally close; decided in the last stroke of the race! Congratulations to our National Swimming Champion. 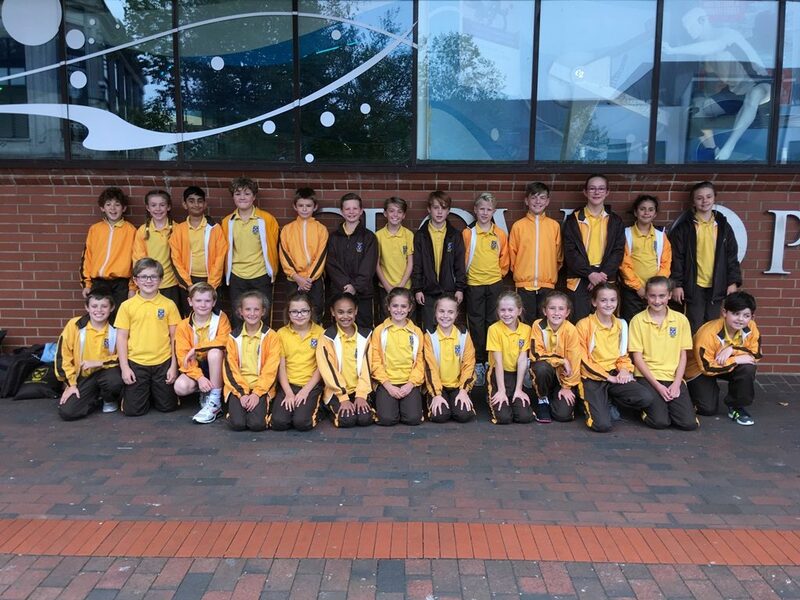 On Wednesday, Mr. Lewis took a team of children from Upper One, Lower Two and Upper Two to the Crown Pool, Ipswich to compete in the annual ISA East of England swimming gala. The children all swam very well against the other 16 schools in attendance. 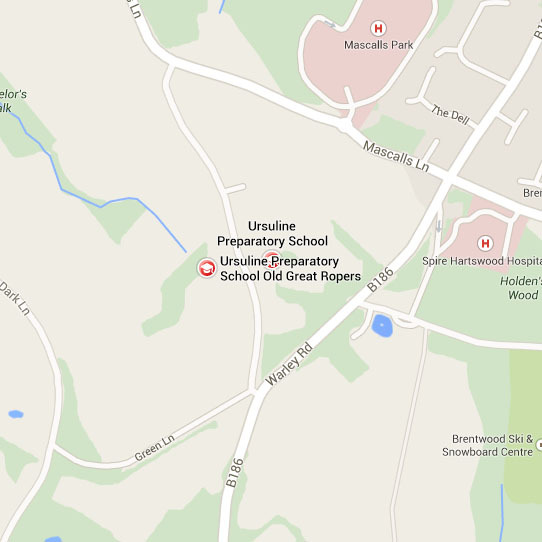 The Ursuline Prep School came second overall. The boys came 4th and the girls came 1st, are therefore are now the ISA East of England Champions. 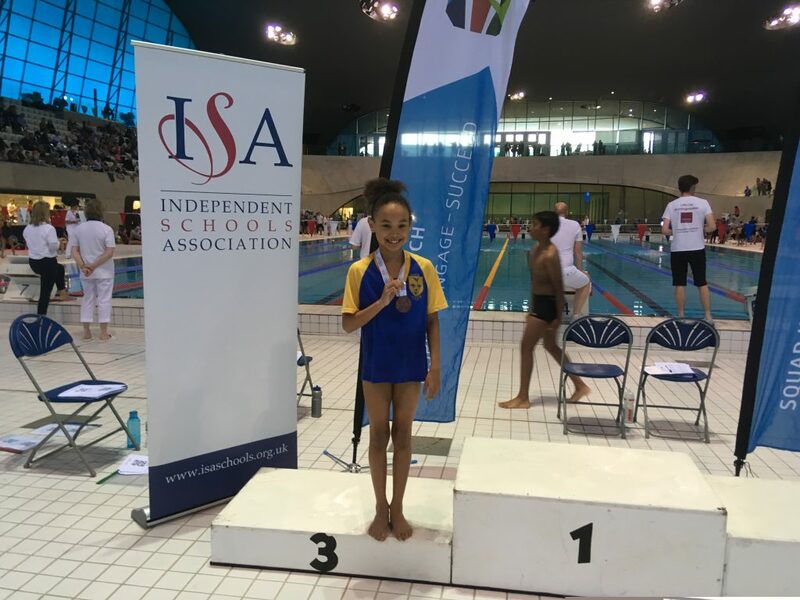 Congratulations to Selina Green who will be competing in the ISA National Competition, having won both the 50m breaststroke and backstroke events. 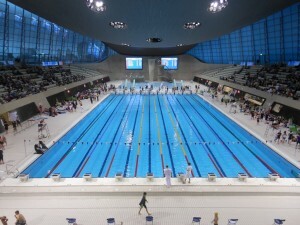 The ISA National Swimming Gala took place again this year at the London Aquatic Centre at Queen Elizabeth Olympic Park. Following on from their success at the regional event of this competition 4 pupils from the Ursuline Prep. represented East Anglia. They all swam well and contributed to the team's final score. Sophia Moule competed in 4 races, beating her own personal best times in two of her races. In the year 4 50m backstroke race a third place medal was achieved. Please see the pupil below receiving her award. 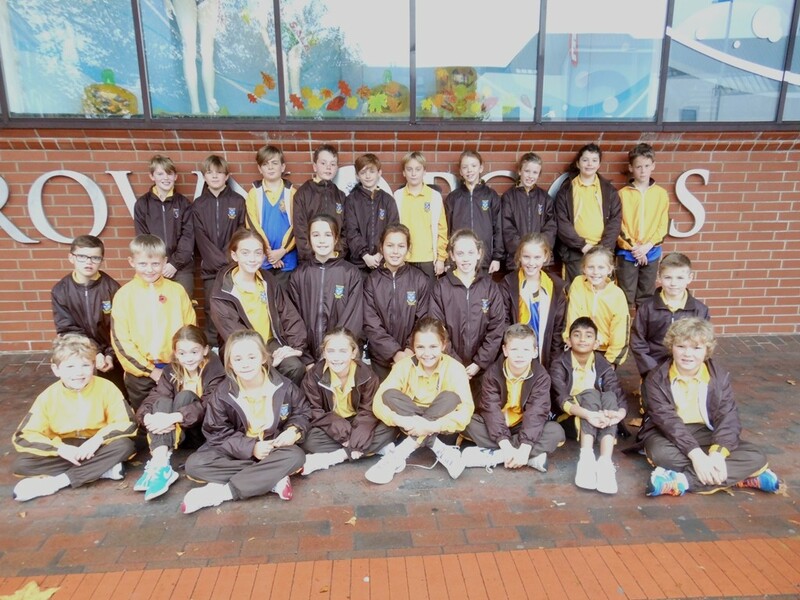 On Wednesday 15th November the swimming team travelled to Ipswich to take part in the ISA Regional Swimming Gala. They did extremely well finishing second overall out of the 18 schools in attendance. Congratulations to Sophia Moule and Selina Green who have now been chosen to represent East Anglia at the national event of this competition. Sophia will compete in the 50m freestyle and 50m butterfly and Selina the 50m backstroke. 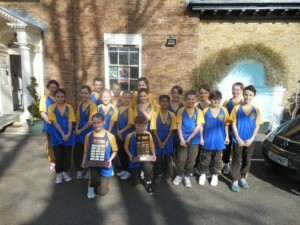 The girls' team came 1st and the boys' team finished 3rd out of 18 schools. Congratulations to all those that took part. 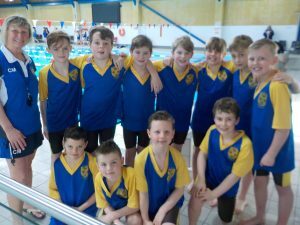 On Tuesday, 7th March, the boys and girls from Upper Two, Lower Two and Upper One took part in the Brentwood Middle School’s District Swimming Gala. All the children swam extremely well with the girls’ team retaining the trophy and title of district champions and boys' team finishing in third place. Congratulations to all the swimmers. On Wednesday 9th November the swimming team took part in the ISA Regional Swimming Gala which was held at Crown Pool, Ipswich. The children achieved some excellent results which meant that the team finished in 2nd place out of the 16 schools that were in attendance. Five children won their races and will be representing East Anglia at the National event of this competition later this year. Charlotte Lee (Year 4 50m Freestyle), Valencia Danby (Year 6 50m Breaststroke) Sophia Moule (Year 5 50m Backstroke, Freestyle and Relay). Emilia Hardy, Florence Willett and Ivy Woyton (Year 5 50m Relay). 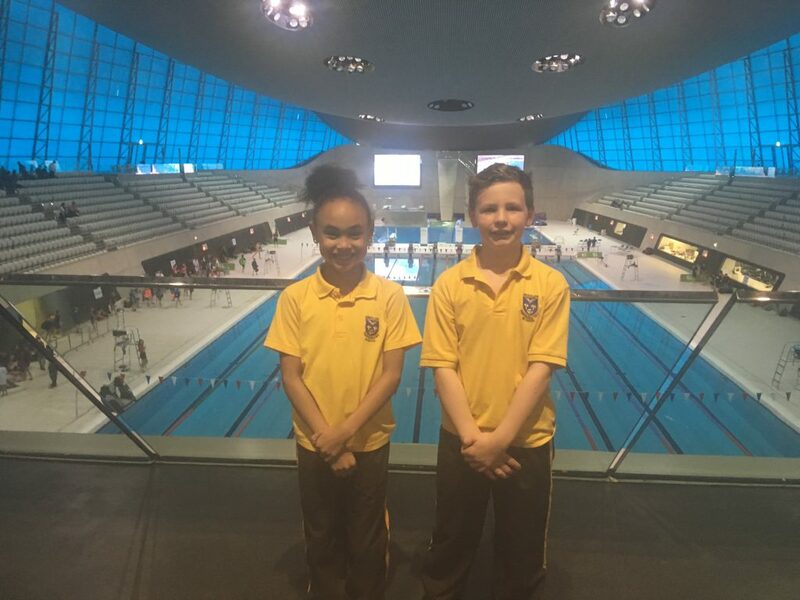 The ISA National Swimming Gala took place this year at the London Aquatic Centre at Queen Elizabeth Olympic Park. 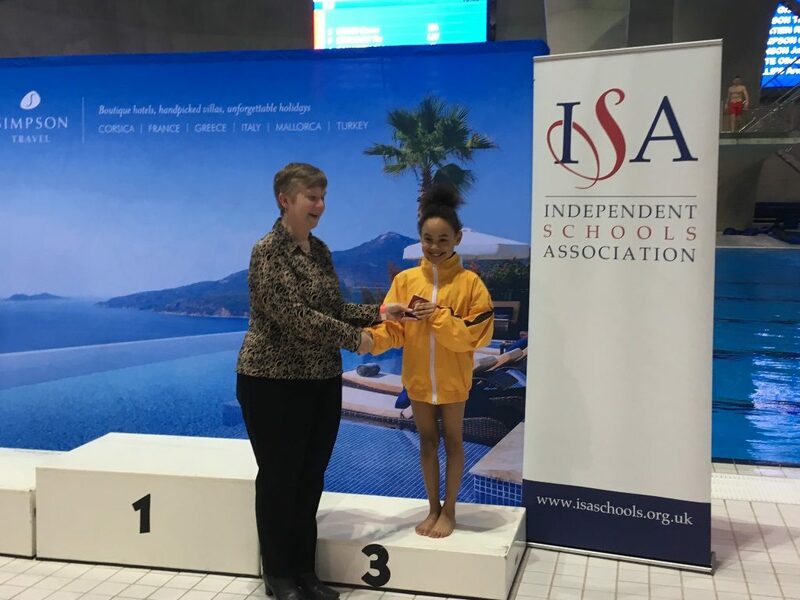 Following her performance at the ISA regional competition a pupil from the Ursuline Prep was selected to swim for East Anglia at this event. 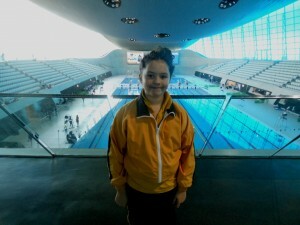 It was an exciting venue to compete at and she swam well in the Under 9 Freestyle event finishing in 6th position. Many congratulations from the school for an excellent achievement. 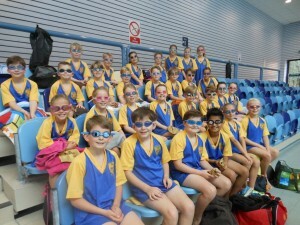 On Wednesday 11th November the swimming team attended the ISA regional swimming gala held in Ipswich. The children did extremely well managing to finish 3rd overall out of 17 schools. 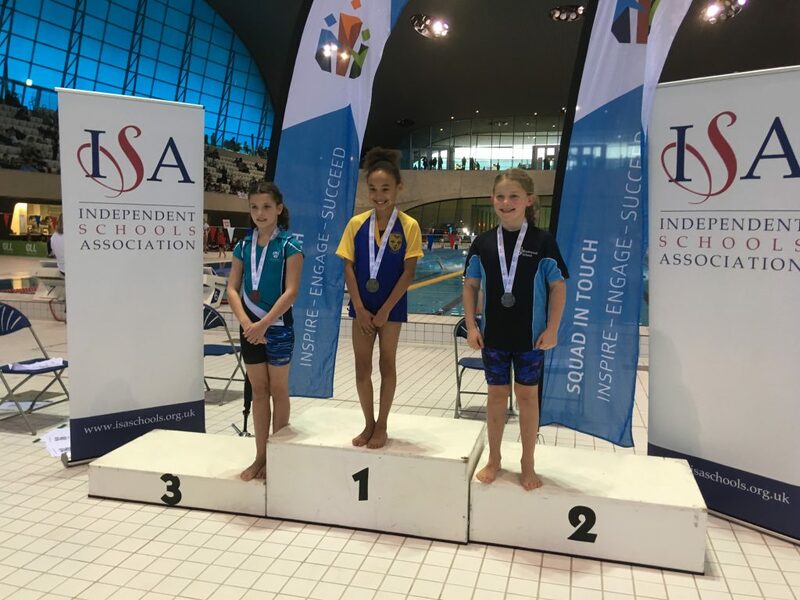 Congratulations to Sophia Moule who finished first in 50m freestyle and will be going on to represent East Anglia at the National event of this competition which will be held later this year. The girls team came 2nd and the boys team finished 8th out of 17 schools. 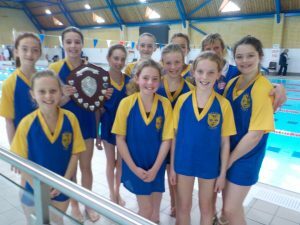 On Tuesday 3rd March the swimming team retained their titles as Middle Schools’ District Champions! Both the boys and girls swam extremely well in a variety of races. As last year there were 4 schools in the competition: St. Peter's, Hutton All Saints, Ingatestone and Ursuline Prep. Many thanks to Brentwood School for once again hosting this competition. 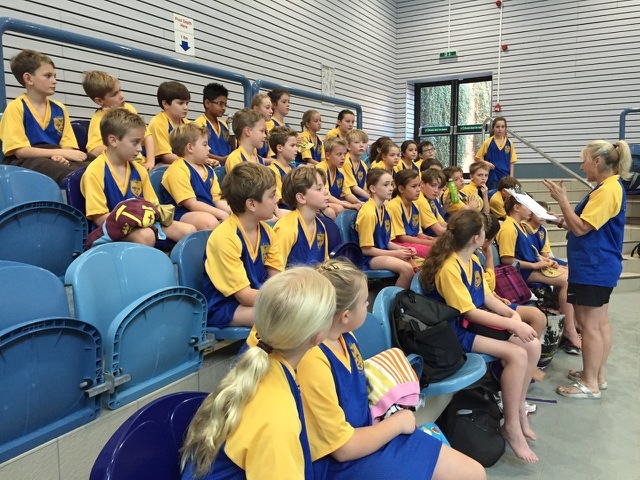 On Wednesday 19th November we took part in the ISA regional swimming gala held at Ipswich. The children did extremely well managing to finish second overall out of 18 schools. Congratulations to Alice Lindsay and Abby Smith who finished first in several races and will be going onto represent East Anglia at the Nationals. Alice will be competing in both the Freestyle and Butterfly and Abby in the Backstroke. On Tuesday 4th March the swimming team attended the Middle Schools' District Swimming Gala which was hosted by Brentwood School. There were 4 schools in the competition: St. Peter's, Hutton All Saints, Ingatestone and Ursuline Prep. Both the boys and girls swam really well and both retained their titles as District Champions! Please see the winning teams with their trophies pictured below. Amelia Moule 3rd Breaststroke and 4th Butterfly.